The common house mouse prefers residential settings and runs rampant throughout the US and all other areas of the world. House mice are quite adaptable living in and around homes and farms as well as in pastures and farm fields. They may nest in the ground or in any protected location. Nests are constructed of shredded fibrous materials such as paper, or other similar items, and generally have the appearance of a “ball” of material loosely woven together. Nests are usually 4 to 6 inches in diameter. House mice eat many types of food but prefer seeds and grain. They are not hesitant to eat new foods and are considered “nibblers,” sampling many kinds of items that may exist in their environment. Foods high in fat, protein, or sugar may be preferred even when grain and seed are present. Such items include bacon, sweets, and butter. Unlike brown rats, house mice can survive with little or no free water obtaining their water from the food they eat. What if they live in your home? As with all species of mice, the danger of mouse droppings contaminating food and spreading disease makes mouse infestation a serious problem. Besides infecting people with disease, mice as well as rats chew and shred furniture, walls, floors, and electrical wires – sometimes starting fires. 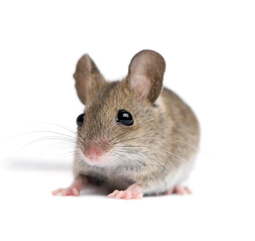 Mice may also damage stored items in attics, basements, garages, or museums. Damaged family heirlooms, paintings, books, documents, and other such items may be impossible to replace. Call Shumaker’s Animal Control 443-854-8072 to solve your rodent control problem. Among the diseases mice or their parasites may transmit to humans are salmonellosis (food poisoning), rickett-sialpox, and lymphocytic choriomeningitis. Mice may also carry leptospirosis, ratbite fever, tapeworms, and organisms that can cause ringworm (a fungal skin disease) in humans. Mice may breed year-round. The female has 5 to 10 litters per year. Mouse populations can therefore grow rapidly under good conditions. Studies indicate that during its daily activities, a mouse normally travels an area averaging 10 to 30 feet in diameter. Mice seldom travel farther than this to obtain food or water. Because of their limited movement and feeding behavior they are much more difficult to control in some situations.